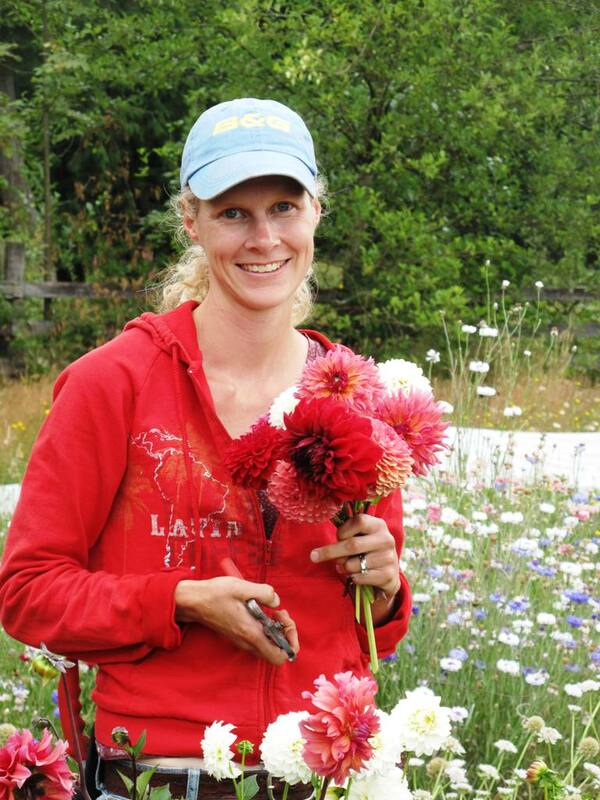 Earlier this year I met Janell Patterson, a young cut flower grower who launched Flower Forest Farm, a micro-agriculture endeavor that’s part of Seattle Tilth’s farm incubator program called Seattle Tilth Farm Works. Peek through one of Janell’s pink dahlias catch a glimpse of the nasturtiums and Queen Anne’s Lace flourishing beyond. Each participants’ time and sweat equity yields food or flowers that supply Tilth’s weekly Community Supported Agriculture subscriptions. 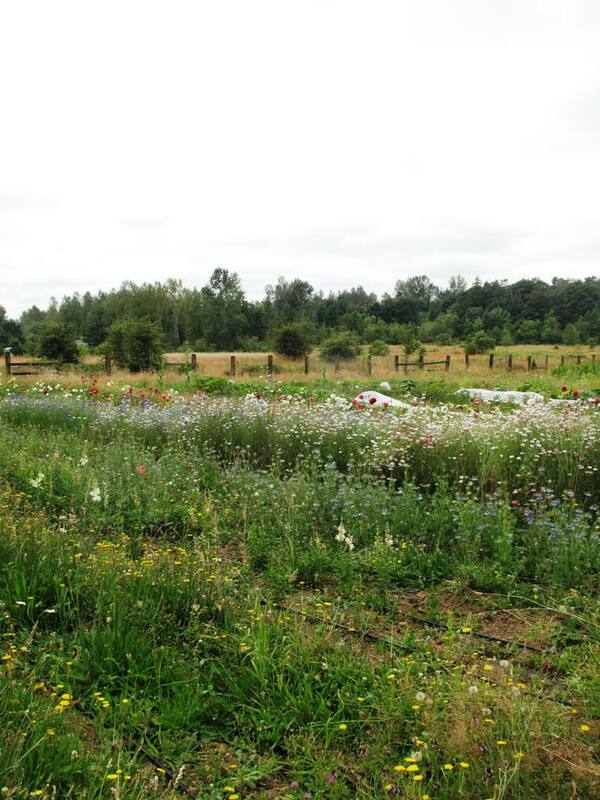 Janell’s Flower Forest Farm is the only flower grower involved and it’s wonderful to see her beautiful ingredients supplying CSA customers and local farmers’ market shoppers. 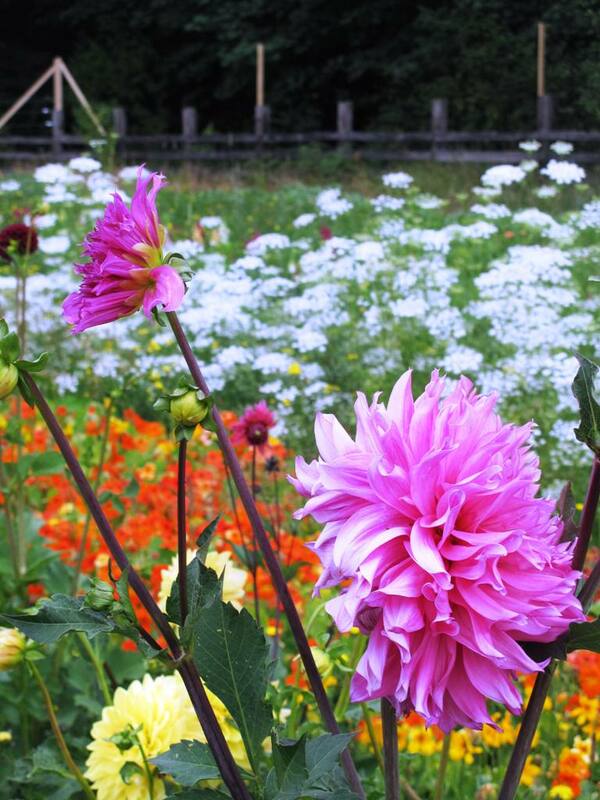 She manages a one-quarter acre parcel filled with beautiful rows of annuals and gorgeous dahlias. A young mom, Janell brings an eclectic background to her endeavor. She has experience as a professional interior designer and she has been studying horticulture at South Seattle Communit College (which is where I gained my training in horticulture and landscape design). Janell also worked as an environmental volunteer managing a small rural tree nursery with the Peace Corps in Ghana, West Africa. 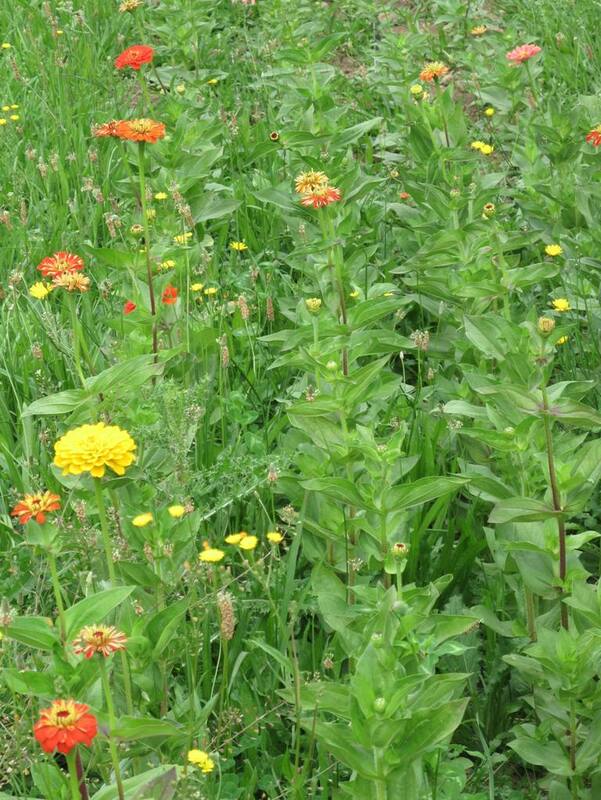 Zinnias on display in straight rows, ready to be harvested. 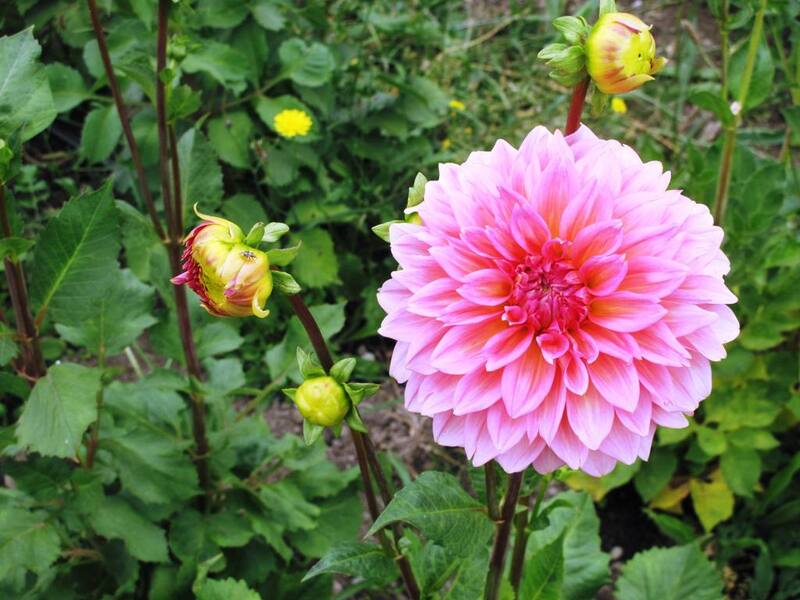 Another pretty dahlia, one of hundreds that Janell planted this season. 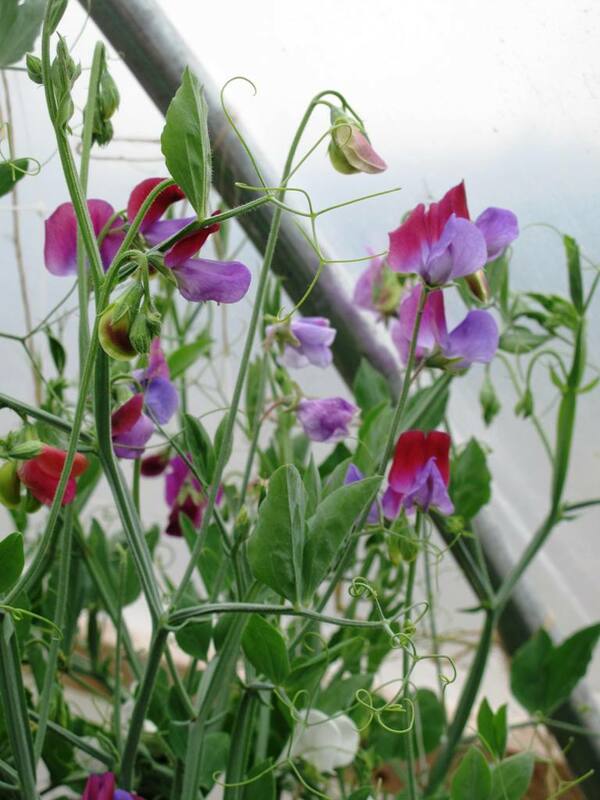 Sweet peas were at their peak when I visited in July, trellised inside the hoop house at Seattle Tilth Farm Works. 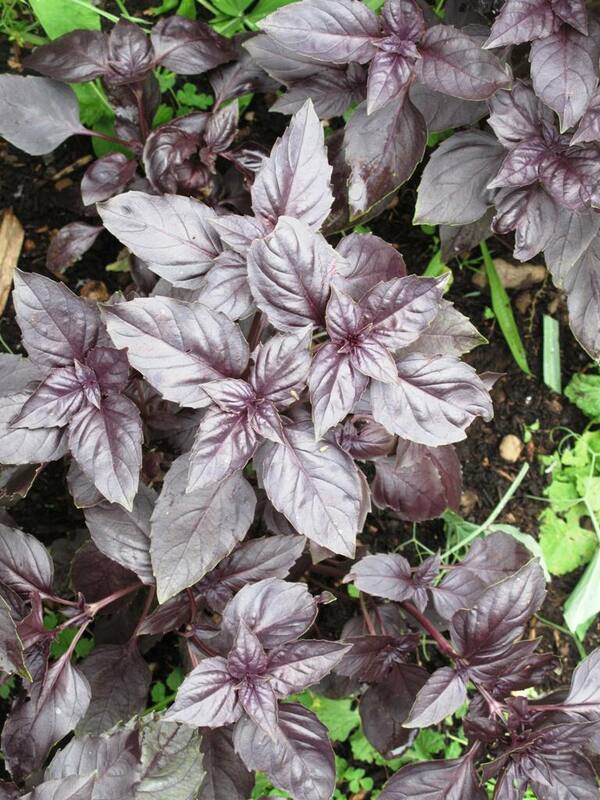 Love the dark Opal basil that Janell grows for her mixed CSA and Farmers’ Market bouquets. Click here to learn more about Tilth’s CSA program, including how to order Janell’s weekly bouquets. Click here to learn more about Flower Forest Farm’s flowers, bunches, bouquets and custom services. This entry was posted on Wednesday, September 4th, 2013 at 6:07 am	and is filed under American Grown, floral design, Gardening, General, Plants, Podcast Episodes, SLOW FLOWERS Podcast. You can follow any responses to this entry through the RSS 2.0 feed. You can leave a response, or trackback from your own site.